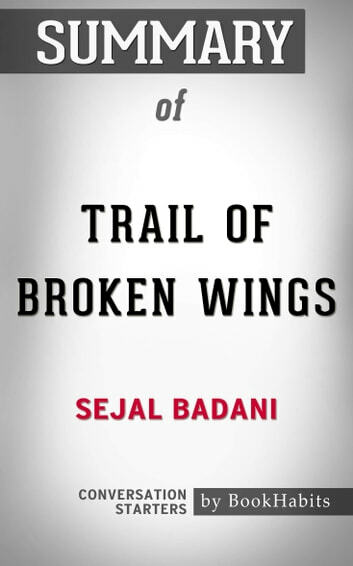 Trail of Broken Wings is the debut novel of Sejal Badani, an American of Indian origin. The novel deals with child abuse and how it affects everyone in the family. Brent, the main character, moves from India to the U.S. to give a better life to his family. However, even as he propels his daughters, Marin, Trisha, and Sonya, on to excellence in their studies and career choices, he abuses them relentlessly. His wife, Ranee, unable to stop him, looks the other way whenever the beatings happen. The book begins years later when Sonya returns home and learns that Brent is in a coma and is not expected to survive. The sisters and their mother now deal with their horrific past and try to look forward to a better future. 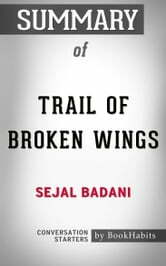 Disclaimer: This book you are about to enjoy is an independent resource to supplement the original book, enhancing your experience of Trail of Broken Wings. If you have not yet purchased a copy of the original book, please do before purchasing this unofficial Conversation Starters.